These are extra parts, which can be used to expand the CakeFrame. 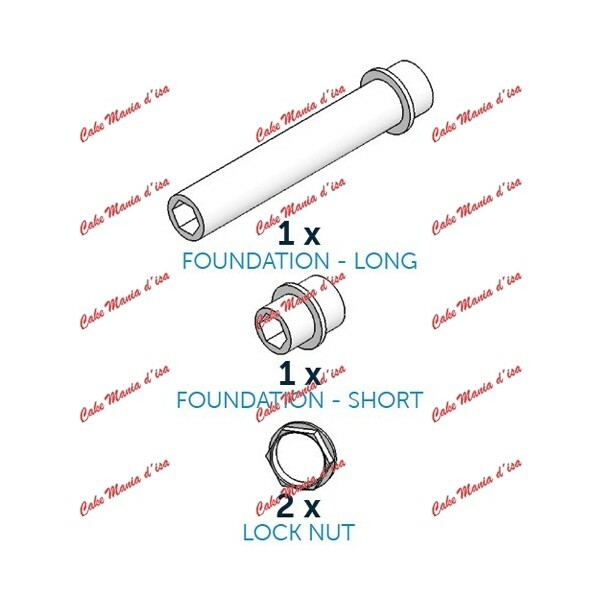 Make your standard complete with this CakeFram foundation pack. This set contains out of foundations and nuts. The parts are made strong polystyrene plastic that is food safe and suitable for the dishwasher. 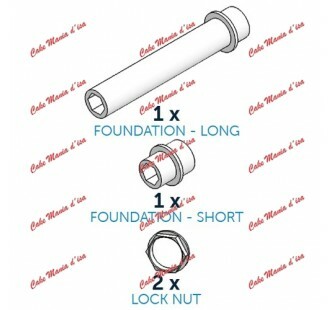 Content: 1 foundation long (approx. 10 cm), 1 foundation short (approx. 1,5 cm) and 2 lock nuts.